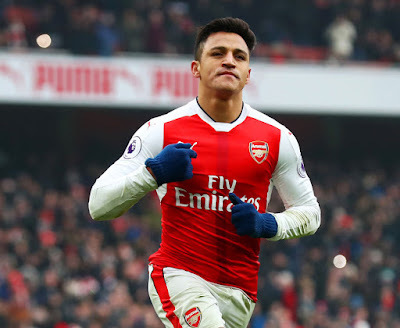 Alexis Sanchez may rot on bench if he goes to any football club bigger than Arsenal or clubs with lots of stars. Football clubs like Bayern Munich will put him down on bench if he fucked up in 2 or 3 matches.. It would be like when he was in Barcelona.. Manchester city has lots of stars and he may be watching them from bench if he messes up in 2 or 3 matches like he does at Arsenal. Arsenal should sell him if he truly demands for such wages "400k pounds", demanding for such wages truly shows that he's not happy in Arsenal. It's craziness for demanding for such wages. Only Messi and Ronaldo worths that wages at this moment. Hazard who is better than him earns about 250k pounds wages and still younger than him.